Nylon fabric is like an oil magnet, so if you get oil on a pair of nylon athletic shorts, try to take care of the stain quickly. Also, make sure the stain is gone before the shorts go in the dryer. The dryer's heat can make oil stains permanent. You have options for oil stain removal when it comes to nylon shorts, depending on how much effort you want to put into it and how much you want to spend. Really, there are no big shocks coming for those of you experienced in fabric care, this is all pretty much common sense and for that matter, it applies to most fabric types. The easiest way to get rid of an oil stain on a nylon garment is also the most costly. Take the shorts to the cleaners and let a professional take care of it. If you do this, make sure to point out the stain and mention that it is oil. Examples of oil stains include cooking oil, motor oil, and oil-based cosmetics. Knowing the stain's source increases the likelihood the dry cleaner will be able to get rid of it. Purchased stain remover sticks and sprays provide a slightly cheaper alternative to visiting the dry cleaner. Check the directions on the container before you start, but most brands offer similar directions. Coat the stain with a thick layer of stain remover. Fold up a paper towel and place it firmly on the wrong side of the fabric. Then fold a second paper towel and dab inward from the stain's outer edge. Repeat as needed until the stain disappears, then launder the shorts according to care tag directions. The least costly but most labor intensive oil stain removal method is to use laundry detergent. If you're using powder, mix it with water to make a thin paste. Saturate the stain with detergent and let it soak in thoroughly. Then, fold two paper towels. Don't scrub from side to side no matter how tempting it is. Place one paper towel under the fabric and use the second one to gently wipe inward on the stain. Repeat three or four times until the stain is gone. While it is possible the stain will be permanent if oil-stained shorts make it through the dryer, it's still a good idea to attempt stain removal on the slim chance of saving your garment. Soak the stain in stain remover spray or a water-diluted detergent solution for at least half an hour, then use the two paper towel method and dab inward on the stain. Soak the stain again if it does not come out in the first try. The extra soaking time increases the chance you will ditch the stain. Just added to the Fabric Care page: Link to article on Bounty Paper Towels site describing how to remove blueberry stains. Blueberry stains are hard to get rid of, because they are basically a dye rather than just a simple, everyday stain. Treat these fruity stains quickly for the best results, and check out the details in the article. 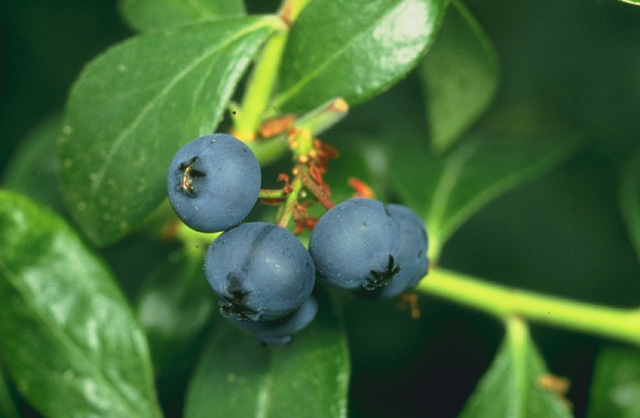 Image of blueberries courtesy of Wikimedia Commons. No holiday table is complete without napkins, so why not let your young ones create a holiday napkin holder to brighten your holiday table? This is an inexpensive project that turns an empty food box and some basic craft supplies into a cute and useful centerpiece. Parental supervision required. Pick a side panel on the box to use as the back of the napkin holder. It does not matter which side because it will not show on the finished holiday napkin holder. Hold the napkin against the outside of the box's front panel, lining up the box's bottom edge with the napkin's edge. Draw an outline of the napkin on the top and front edge of the box. Place the ruler so it forms a diagonal line from the upper back corner mark to the front bottom corner. Trace along the ruler's edge. Mark the other side of the box the same way then set the napkin aside. Cut the box down, using drawn lines on the side panels as cutting guides. Cut across the back edge, lining up the cut edges on the side panels. Cut across the lower front corner of the box directly on the box's original fold line. Line the inside of the box with light-colored construction paper and glue the lining in place. Then, wrap the outside of the box with the same light-colored shade of construction paper and glue it down. Allow the glue to dry completely. Place the stencil on darker-colored construction paper and trace the stencil's outline or draw an holiday-themed shape free-hand. Make a second copy of the shape. Draw or trace other features and details from other colors of construction paper. Glue the shape and features on each side of the napkin holder. If you want to add glitter, make glue lines around the shape and around each feature and sprinkle glitter into the glue. Allow the glue to dry completely before filling your new holiday napkin holder. Save money on a sun-blocking boonie hat by making one at home.There is no need to buy a pattern either, with a few measurements and drawing tools at hand. Boonie hats are comfortable, if the fit is correct, and they offer a certain amount of sun protection. Boonie hats are made of breathable fabric, and the full brim on a boonie keeps the sun's rays out of the wearer's eyes as well as off of the neck and ears. 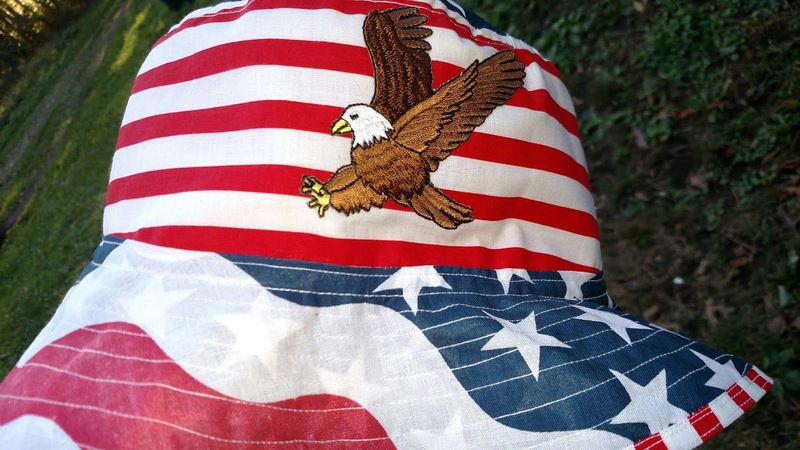 Boonie hats have traditionally been designed and provided as military issue, but they have also gained ground with outdoor enthusiasts in sports like hunting and fishing. While traditional boonie hats will be manufactured from camoflage fabric, home-made boonies can be crafted to match almost any outfit, and from any fabric desired. The added fabric choices make these hats useful for any outdoor activity, from a day at an amusement park to an afternoon of yard work. Warm weather boonies should be made from a light cotton or linen fabric, while cold weather boonies can be crafted from polar fleece or soft flannel. These soft-brimmed hats are not normally reversible, but following the directions provided below gives the option of making a reversible boonie hat. Measure the wearer's head, going around the forehead and the upper back area of the head. This is the dimension that will be used for the top of the hat. Draw an oval in the center of the pattern paper, using the dimension of the head. If drawing tools are not available, a large can can be positioned on the paper when drawing the curved ends of the oval. This will be the pattern piece for the top of the hat. Measure two inches past the drawn edge of the oval, and mark the spot. Repeat every two inches all the way around the oval. This will be the hat's brim. At the edge of the paper, cut one long rectangle that is one inch longer than the dimension of the hat's top oval. Fold the fabric, or stack the two layers, and pin the long rectangular pattern piece 1/2 inch away from the edge. Add a 1/2 inch seam allowance by measuring and making tailor's chalk marks 1/2 inch away from the edge of the pattern,all the way around the piece. Position the remaining pattern pieces on the fabric, and mark out the 1/2 inch seam allowances. Cut out the pieces by following the tailor's chalk marks. Fold the rectangles with the right sides together, and sew across the short ends,making a 1/2-inch seam allowance. Place the top, oval pieces with the wrong sides together. Baste around the edges 1/4-inch from the edges to hold the two ovals together. Position and pin one sewn rectangle face down to the top of the oval, all the way around. The seam in the rectangle should be centered in one of the short ends of the oval. If two fabrics are being used, make sure the fabrics are matching. Pin the other rectangle to the under-side of the oval. Sew around the oval, making a 1/2-inch seam allowance. Turn the rectangles out, and inspect the seam to make sure the edges are completely sewn. If the seams are secure, top-stitch on the edge of the rectangle, 1/8-inch from the seam. Position and pin the hat brim to the rectangular piece with the right sides together. The inner oval of the brim will line up with the outer edge of the hat's top. Also pin the other section of the hat brim to the inside of the rectangle. Sew all the way around the edge connecting the rectangular piece to the inner oval's edge. Turn the brim out and inspect to make sure the edges of the seam are all sewn. Turn the brim edges right side out, and top-stitch the inner edge of the brim,1/8-inch from the seam. Sew around the brim repeatedly, moving 1/4-inch out with each pass around the brim. Finish the edge of the brim by wrapping the binding around the raw edge, and sewing 1/8-inch from the folded edge of the binding. A chin strap, grommets or 1/2-inch vents can be added to the finished boonie hat if desired. The hat brim will be slightly floppy, but can be starched if a crisper look is wanted. Copyright Laure Justice. Contact the author to obtain permission for republication. Originally published on Suite101.com. Like cotton, wool has the potential for a great deal of shrinkage. Wool is, however, different in that it does not possess cotton's easy care attributes. Wool does not respond well to being tossed in the washer and taking a trip through the dryer. A steam iron set on the wool setting, one of the iron's hottest, is the best way to prepare this strong but also vulnerable fabric. The combination of heat and the moisture from the steam work togerther to shrink the fibers with the stretching and potential breakage that can happen to wool in the laundry cycle. A steamer is a second option when prepping wool, as long as the piece is not too large or too heavy, because fabric needs to hang during steaming and the weight can damage the moistened wool fibers near the top. If you are uncomfortable trying to treat the wool on your own, after all, wool can be pretty expensive, take it to a dry cleaner and have it steamed professionally. Final Tip: Before preshrinking, serge the raw edges of the material, or sew across the edges on a regular machine, using your preferred finishing stitch. One of the most frustrating things that can happen to a home-sewing enthusiast is to make something and have it turn out perfectly only to have it shrink in the laundry after the first use. Pre-shrinking normally involves the combination of moisture and heat, but it's important to consider the fabric's basic care directions before pre-shrinking. Untreated cotton fabric shrinks - a lot. This includes most denims and also cotton/synthetic blends. The first option for pre-shrinking cotton fabric is running it through the laundry in a warm water cycle and then a dryer set on the normal heat setting. The second option is using a steam iron, filled with distilled water and the temperature set to high. The third option for shrinking cotton is a steamer. Hang the fabric and slowly pass the steamer over the material so the hot steam seeps into the fabric's fibers. Final Tip: If you choose to use the laundry method (number 1 above) finish the fabric's raw edges by serging them or sewing over them with one of your sewing machine's finishing stitches to prevent fraying. After you've completed a couple of easy sewing projects and are ready to take on something more challenging, or if you're just a go-for-it kind of person; lining a pair of jeans might offer just the right kind of challenge. You might be wondering WHY someone would want to line a pair of jeans, especially if you live in a warm climate. If you live in a northern climate, however, you can probably guess one of the reasons as winter weather is rolling in right about now; warmth. The other reason to line jeans is to extend the life of an older pair of jeans. An extra layer of fabric, especially if you use soft flannel or cuddly fleece, helps to trap your body heat, keeping you warmer when you wear lined jeans. It's like wearing two pairs of pants to keep warm, without the hassle of tugging on two pairs of pants. You can get some extra use out of threadbare jeans by adding a layer of lining. The extra layer forms a sort of full-body patch for your jeans. (I guess I should call that a full-leg and seat patch.) If you have any spots that are completely worn through you can either use an iron on patch on the inside of the jeans before you start or zigzag over the damaged area several times after you finish installing the inner layer of fabric. This supply list is for average-sized adult jeans, you might need more fabric for larger sizes or less fabric for children's sizes. Turn the jeans inside out and spread them out zipper side up on the table or floor (where-ever you have a big enough work space). With the fabric folded in half the long wy, with the selvage edges together, spread the fabric out on top of one leg of the jeans. The top edge of the fabric should ideally fall in the center of the jeans' waistband and the outer leg hem needs to be lined up as close as possible to the selvage edge. Pin through the both fabric layers and into the jeans' hem. Set a pin every three or four inches. Pin the fabric to the inner leg seam, too, and across the waistband and leg/ankle hem. At the center front, pin out and around the zipper placket. Get ready to cut the fabric, using the pins as a guide and cutting just outside (about 1/4 inch outside) of the pins. Remove the pins and flip the jeans over. Repeat the pinning steps on the back panel, except pin straight up the center back as there is no zipper placket to work around on the back. Pick up the two front panels, make sure the right sides are together, and stitch from the inner-thigh edge of the seat curve up to the place you cut out for the zipper placket. Pick up the back panels and with right sides together sew from the inner thigh seat curve up to the waistband area. Open out the front and back and place them right sides together. Sew the inner leg seams, starting at one ankle, going all the way up, and then down the other side. Sew the outer leg seams on each side. Turn the lining right side out and slide the lining over the still-inside-out jeans. Make sure the lining is all the way on the jeans so the seat will not sag or feel uncomfortable when you wear the jeans. Turn the hemline of the fabric under about 1/2 inch and, aligning the inner and outer seams of the lining and jeans, sew all the way around the hemline. Sew slowly over the seams, because it will be thick and can damage a sewing machine if you try to sew fast. Hem both legs this way. Fold the lining under around the cut-out zipper placket and waistband. Pin the folded edge down if it gives you too much trouble. Sew all the way around the zipper placket and waistband, making sure the side seams and rear seam line up on both the lining and the jeans. When you wash these, they will take a long time to dry because they are thick and heavy. When you sew around the zipper placket, waistband, and hemline, use denim thread that matches the jeans fabric so the new stitches won't show. If you want to line all the way across the front instead of leaving the zipper placket unlined, it's only a little bit harder. Use stretchy lining fabric, and do not sew the waistband for three inches on either side of the zipper. To finish the lining's raw edge, unbutton and unzip the jeans, open the zipper edge out, fold the raw edge under, and sew it down. 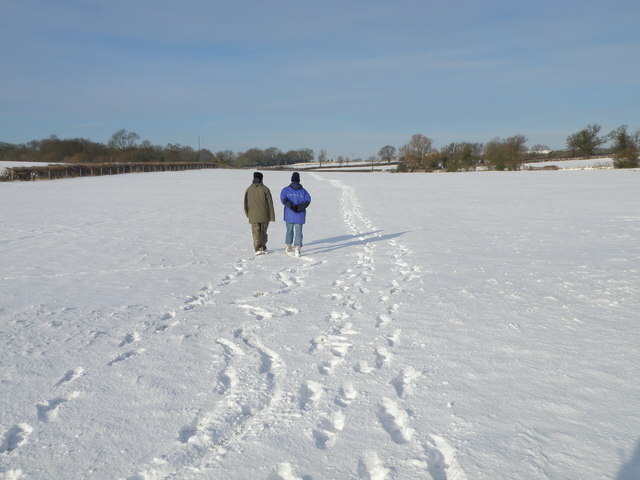 Winter Walk image (above) courtesy of Michael Trolove and Wikimedia Commons. Thread image courtesy of USDA and Wikimedia Commons. Good pajamas are expensive, but they are very easy to make if you have a good pattern. If you find a deal on fabric, you can even save a lot of money by making your own pjs. With the holidays around the corner, I would like to mention they also make nice gifts. I'm pretty picky about pattern labeling. If the pattern is labeled easy, as someone with a few decades worth of sewing experience plus a fashion design program under my belt, I expect the pattern to be not only easy, I expect it to be SO easy I could do it in my sleep. The Butterick Men's pajama pants portion of pattern number 5286, labeled easy by the way, was actually a "sort of easy" pattern to use. With three pattern pieces - front, back, and pocket - there isn't a lot that should go wrong. The pants portion actually were very easy to make, with only one actual complaint. The problem I hit when making these pj pants, which was easy to work around as an experienced seamstress but could be a problem for new sewers, the directions for attaching the pockets and sewing them to face forward were, well, kind of unrelated to actually making these comfy pants. If following the directions as written, the fabric's raw edges will stick out, just a little, at the top and bottom of the pocket holes. To amend the directions for those wanting to try this pattern, when you put the front and back panels together after sewing the pocket pieces to the panels, make sure the seams holding the pockets and panels together are flat on top of the pockets. Starting at the top and going down the hip area, sew slowly and feel through the fabric layers as you sew, staying just to the inside of the pocket fabric layers until you are past the pocket's raw edges at the top. Sew around the outer curve of the pocket as shown in the directions, then feel through the fabric layers and stay just to the inside of the layers the same way you did at the top. and bottom of the part that will form the pocket hole. The pattern shows sewing the top edge of the pocket to the front panel. This is unecessary, unless you just like doing extra work, because it will be stitched in place when you sew the waistband casing. All in all, I really like this pattern and found it pretty easy to make, other than the directions being a bit off. I would recommend it for sewers of any skill level, as long as he or she is prepared to work around the enclosed directions a bit. If you are looking for an easy gift to sew, or you just want a unique snuggy-style blanket for yourself, comfy blankets make great gifts and they are super easy to sew. The McCalls Comfy Blanket pattern, envelope number M5970 if you're looking for it in the store or online, is labeled as an easy, 1 hour project, but is it really that easy and fast? While it depends a little bit on your skill level as a sewing machine operator, and a lot on how fast your machine will stitch, I have to say, it's a pretty easy pattern. It will probably take a little over an hour if you are new to sewing, and it will probably be done in less than an hour if you are an experienced sewer. You have three pattern pieces, four if you're adding a pocket, five if you're adding the foot pocket; and the two largest pattern pieces get taped together to form one big piece. If you're a novice when it comes to sewing there's more good news. Fleece is a pretty forgiving fabric to work with; making it easy to hide small errors. Just make sure you have a ballpoint needle installed in your sewing machine and, if possible, use ball point sewing pins. My first tip after trying this pattern is, stick to the directions that come in the envelope, except for when setting the pocket, if you opt to add the pocket. Have the person who is going to wear the sleeved blanket, which is basically the same as Snuggy brand blankets, try it on and set the pocket where they like it. If you're giving it as a surprise gift, then of course just stick to the pattern directions. My second tip is, add a flat snap or hook fastener to the back of the neck opening so it won't keep falling off when worn. So here it is, this is what I was telling you about when I posted earlier. Sorry for holding you in suspense, I wanted it to be officially for sale before I released the photo. (I'm no great shakes with the camera, and this picture isn't great but it's the best I could do with my cheap-o camera.) This is my new item that's for sale now for $20 plus shipping & handling - custom-made padded smart-phone bags. Get one to match every outfit because they are made to be worn with the strap draped diagonally around the body and they make a great way to complete an outfit. The strap holds the bag close against your body, offering more protection for your technology investment, because wow, a good smart-phone is a bit pricey. 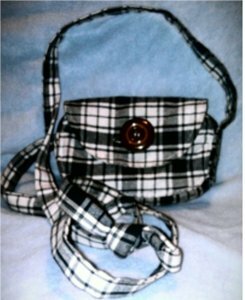 You can get one of these hand-crafted, custom designed smart-phone bags in black & white plaid, as shown via Stitching it Right's Big Cartel store, in your your favorite color or one to match all of your outfits by simply placing a request here or dropping an email to LaureJ@consultant.com. When you can't find something you need, you can design and make it. This is practical sewing in its purest form, and also a great way to introduce a new product or design to the marketplace. I have a couple of new designs I plan to release in the next week or two (just in time for holiday gift-giving) and can't wait to share them with you. My plan, and let me know if you think is too far out of bounds, is to offer finished products as well as kits for sewing enthusiasts to make their own. I know it's hard to respond to that without more details about the items, but if you know you like saying, "I made it myself" then the kits might be for you. If you just want something great and beautiful and practical that's well-made, you might prefer the finished product. I'm looking forward to telling you more, but in he meantime, happy sewing! Anyway, I wanted to mention, if you are interested in having any of your projects featured here on Stitching it Right, I'm planning to start a Featured Projects page in the next week or so, where I post snapshots of things I have created as well as snapshots of my reader's projects, if anyone feels like showing off their handiwork. Down coats are great because they're super warm, but they are also usually a little more expensive than coats with synthetic lining. The extra cost makes it worth mending things like a damaged lining, if possible, before all the down falls out. Don't worry if the down is already gone, though, you can buy new down to sew into your coat, or even snag a few down feathers out of an over-stuffed down pillow. You will need a heavy duty or industrial sewing machine with a sharp needle installed to avoid making big holes in the coat's shell if you have to repair the quilting. If the problem is just a seam that has let go, you have the option of hand sewing the gap shut with coarse thread and a hidden or back-stitch. the way around, using the closest fabric match you can get to the original lining. Step 2 - Fold the patch's raw edges under 1/2-inch, then center and pin the patch over the hole. Step 3 - Hand sew all the way around the patch using the whipstitch or a hemming stitch, and remove the pins as you go. Step 4 - Now flip the coat over so you can see the outer shell. If the quilting looks like one big blob with the stitches gone, use the sewing machine to sew over the original stitching lines, replacing the quilting stitches. 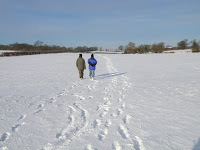 Now all that's left to do... trim off any stray threads you see and go enjoy your down coat for another season. Here is another idea of jeans embellishment. To create subculture jeans decorated with metallic paper clip art you’ll need a piece of special metallic paper for fabric, a golden glitter for cloth, rhinestones, sartorial chalk, waterproof glue, scissors and a pair of jeans to decorate. Draw a pattern you wish to create on jeans using a sartorial chalk or carry over a ready motif on denim and special metallic paper. Using sharp scissors cut out the motif from metallic paper and put the motif pieces on jeans according to the pattern. Stick all metallic paper details to your customized jeans according to the pattern using special waterproof glue. Put the glue directly on fabric in order that the metallic paper bonds better. After all pattern fragments are glued onto denim delineate all other details with a golden glitter for fabric. Put the same motif on the back pocket of your jeans in order to balance the composition. Stick the rhinestones to your pattern as a fine element of the decoration. You can also decorate the belt loops of your jeans using golden cloth glitter. Take a soft brush and carefully stump the fresh liner on the belt loops. The same method can be used for decoration of jeans back pockets. The same pattern can also be repeated on the other trouser leg of jeans, for example, in the upper part of it. 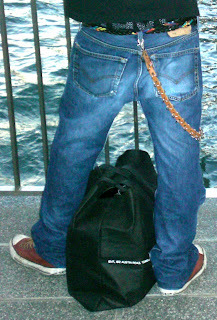 Undecorated subculture jeans image courtesy of MKMenz. Jeans embellished with metallic paper clip art should be washed turned inside out in warm water separately from other clothes pieces. The best way is to wash such jeans by hand or in a washing machine using a special regime of delicate wash.
To build your own jeans with decorative lacing you’ll need a band with pistons, a rope, scissors, a needle and thread, a piece of soap or sartorial chalk and a ruler. After you’ve chosen the place where your decorative lacing will be situated mark out the trouser leg of your jeans – draw four parallel lines from the inner seam to the outside. Use sharp scissors to cut out the fabric between inner lines. The interval between the cuts and outside lines will be seam allowance. Cuff the seam allowances and sew to the cuts measured bands with ready pistons. Using a needle or sharp scissors pierce small holes in pistons. Stretch the decorative lacing through pistons and fix it. You can hide the ends of the rope and bands in the seams so that your work looks neat. To do this unseam the stitching a bit, hide the rope and bands ends and carefully sew the seam together. On the second trouser leg make a decorative lacing symmetrically to the first trouser leg from the inner seam to the outer one. Sew down the decorative lacing to jeans. Sew down the second lacing parallel to the first one. In the bottom part of the same trouser leg stitch in another lacing. Draw four parallel lines, cut out the fabric between inner lines, cuff the seam allowances and sew sown the band with pistons. Use the same technique in order to create a lacing on one of the pockets of your tailor made jeans. The second pocket can be decorated with parallel ropes sewn down to denim cloth. You can also fix the lacing with corresponding fabric glue. That’s it! You jeans embellished with decorative lacing are ready. Design custom jeans made to measure. Getwear custom jeans configurator makes it possible. Printed Silk Fabrics Sewing Tips: How to Make Hand Made Baby Shoes! Whether for your own child or someone you know, an easy baby item to make is shoes. Because the pattern only requires three pieces, and the fabrics are used in small quantities, you can make handmade baby shoes with leftover scraps from cotton quilting fabrics, flannels, and even fleece. Try making a pair in an afternoon and suddenly you'll be making baby shoes for every baby you know. 1. Fold the fabric to make two layers. Place the sole and upper pattern pieces over the fabric and pin down. Cut through both layers to cut out each pattern piece, making two fabrics for each. Unfold the fabric and cut out one heel piece in a single layer of fabric. 2. Fold the heel over lengthwise with the right, or patterned, side facing out. Pin to hold the fold in place. Trace a faint line 1/2 inch in from the fold. Sew along the line to create a hem. 3. Put a safety pin on one end of the elastic and run it through one hole in the heel hem to the other side. Pin the elastic in place 1 inch away from each end, holding the elastic in place with its end aligned with the end of the hem hole. Sew a straight stitch on each end over the heel and elastic ends to secure. 4. Set one of the upper fabrics down on a flat surface with the right side facing up. Pin the side edges of the heel to the flat side of the upper piece. This should create a loop out of the heel piece with the elastic running on the inside of the loop and the raw edge along the outside. 5. Place the other upper over the heel, right side facing down, and pin it to the same set of edges. Sew across the upper edges, trapping the heel in between. Fold the pieces of the uppers over the seam, pairing up the wrong sides. This should show the top face of the shoe and cover the seam. 6. Place the two sole pieces, wrong sides together, on the table. Set your shoe top over the soles and pin all the way around the connected heel and upper, keeping the edging as flat as possible. 7. Zigzag stitch the layers together all the way around the shoe, catching the edges under the stitching. Turn the shoe right side out to complete. Follow the same steps to create the second shoe to complete the pair. Printed Silk Fabrics Sewing Tips: How to sew a pillow cover! Change or enhance the look of a room simply by changing the covers on your throw pillows. Covers will also help protect your pillows from everyday wear and tear. The instructions here are for 24-inch pillows. 1. Choose 1 1/4 yards of 45-inch-wide home decorating fabric for your pillow cover. Choose a coordinating thread and 20-inch zipper as well. 2. Prewash fabric, and iron if necessary. 3. Use a fabric-cutting board, yardstick, fabric-marking pen and scissors to measure and cut out two 25 1/4-inch squares of fabric. 4. See "How to Keep Raw Fabric Edges from Fraying" for instructions on how to finish the cut edges of the pillow squares. 5. Add any fabric paint or appliqués to your pillow before you start to sew the cover. 6. Place your pillow pieces right sides together and pin one edge to another. Make sure that edges line up evenly. 7. Insert the zipper into the center of the seam. Open zipper and pin the other pillow edges together. 8. Stitch 5/8 of an inch from the pinned fabric edges and sew the remaining seams. When you reach a corner, lift the presser foot of your sewing machine and swivel fabric so that your stitching line remains straight. Keep needle inserted in fabric as you reposition. Turn the pillow right-side-out. Push out all the corners and insert the throw pillow. Close zipper. Buy your fabrics at http://www.printedsilkfabrics.com/. Printed Silk Fabric is the number one source for silk prints in the world. Our libraries hold more than 20,000 prints in different silk qualities. Printed Silk Fabric provides you with the highest quality silk prints. We always feature the latest styles of designer silk fabric. Our knowledgeable staff has been working in the silk industry for more than 15 years. This allows us to purchase and acquire the silk fabrics in bulk at a lowest possible cost, and pass the savings on to you. Our art studio has a full-time staff. We created these unique and tasteful designs for you, our valued customers. We add new designs to Printed Silk Fabrics every week. At Printed Silk Fabrics we are passionate about our products. We want to provide you with the highest possible customer satisfaction. We check and maintain the quality of our products threw out the shipping process. We pack your items carefully to insure that your product arrives in the same beautiful condition that it was sent in. Our goal is to provide you with quality silk fabrics and have your 100% satisfaction with every order you make. Our promise is to work hard everyday to keep and surpass this promise. This article about Ergonomic Thimbles for Arthritic Hands has been moved to the Sewing Tools page of this site. Sewing Doll Clothes Patterns –How to Get Your Doll Clothes to Fit other Dolls! Making doll clothes is a great way to have fun expressing your creativity while stretching your sewing muscles. Learning to add miniature details to doll clothes can even improve your sewing skills for making full-sized garments and handcrafts. I often hear mothers complaining that they have to make several different sizes of the one doll clothes outfit for their daughter's dolls because they are all slightly different in size and while one outfit is perfect on one doll, it may be too tight or too loose on another doll. This is especially the case with their American Girl Dolls because they are all stitched and stuffed individually and therefore vary in size considerably. Good news Mom/Grandma! I have come up with a solution that has worked brilliantly for me over the years and I am constantly being told my doll clothes fit perfectly even though I don't have the doll to try the clothes on as I am making the outfit. Some clothes even fit both the American Girl Doll and the Cabbage Patch doll which vary in torso size tremendously. Clips and buttons are the traditional method used to fasten doll clothes, however Velcro is far more flexible and adjustable. Velcro is a fantastic invention and can be used when sewing doll clothes patterns to create flexible sized doll clothes with great success…without the hassle of adjusting your doll clothes patterns! It has ‘loops' on one side and ‘hooks' on the other side and when they join together it fastens beautifully and lasts forever. There is no hand sewing required and no mucking around with button holes. Using a straight stitch, simply attach the ‘loop' onto the top on one side of your garment and attach the 'hook' to the underside of the garment on the opposite side. Make sure to line up both pieces of Velcro so that they connect properly but you don't have to be as accurate with this as when sewing clips and buttons. The Velcro can be cut as big or as small as you require. The bigger/wider the ‘loop' side of the Velcro, the more adjustment or flexibility given to your doll clothes pattern. When putting the outfit on your smaller doll, the Velcro is overlapped completely and you do not see any Velcro. Then when your larger doll wears the same outfit, the ‘hook' side of the Velcro is attached to the ‘loop' side but not overlapped as much and some of the ‘loop' is visible. The size of the doll determines the amount of overlap of the Velcro. This method also lets you adjust the pattern to fit tightly, just right, or loose, depending on the look that you want. Velcro is also fantastic for small children who find it difficult to do up buttons and clips. With Velcro there are no such problems and the child feels pride in being able to ‘do it themselves' without Mum or Dad's help. Rosie Saw has created a fantastic website http://rosiesdollclothespatterns.com/ that has a range of 18 inch American Girl doll clothes patterns and 18 1/2 inch Cabbage Patch doll clothes patterns. These patterns are in PDF format so are downloadable and the best part is they come with step-by-step videos (streamed via her website) that show you how to make the outfit. Rosie has also developed a fantastic How to Make Doll Clothes video course that has over 100 instructional videos that teach you all the tips and secrets to making doll clothes the easy way and as a special bonus comes with 8 Free 18 inch doll clothes patterns. So visit http://rosiesdollclothespatterns.com/learn now to take advantage of this great offer. This post is for new sewers, who might be unfamilair with attaching buttons, or who might be looking for a simpler way to sew on a button. Buttons are a great closure for garments, and they also make cute decorations on many craft items. Learning to sew on a button is useful for novice sewers and non-sewers alike. Really, anyone who wears clothing should know how to sew on a button, unless you avoid clothing with buttons or can afford to replace clothing when the buttons fall off instead of just sewing them back on. If you don't fall into those two categories, then read on to discover just how easy it is to mend your own clothes. Grab a needle and some thread. The thread should be about a foot and a half long, but there is no standard length to follow. Thread the needle by pulling one end of the thread through the needle's eye. Knot the end of your thread. You can do this however you want. Try this technique for hand sewing without knots. My favorite technique is to wrap the end of the thread around the needle a few times and slide it down. Hold the button against your fabric wherever you want it to be sewn. Usually when a button falls off of an article of clothing, it leaves behind some thread in the spot where it was originally sewn. If it does this, you know exactly where it needs to be reattached. If not, just estimate based on where the button hole is. Bring the needle through the back of the fabric and the first hole in the button. Pull the thread until the knot is secure on the back side of the fabric (where no one will see it). Bring the needle back down through the other hole in the button and the fabric underneath that. If your button has only two holes in it, repeat steps 4 and 5 until you feel you have secured your button adequately. If it has four holes, you'll want to make x's with your thread, going up through the top right hole, down through the bottom left, up through the top left, and down through the bottom right, repeating until the button is secure. To finish, knot the thread on the back side of the fabric and trim the extra. I always weave my needle under the stitches a few times to make sure it's secure before cutting it. If you are a sewing enthusiast then you understand the importance of having a sewing table that makes your sewing work easy rather than being a hindrance and frustration. There are a number of designs that you can consider to maximize the available space on your sewing table, including the U shape, L shape, or I shaped sewing tables. Space in the house is always at a premium. As a lover of sewing, it can feel like a luxury to find enough room to place a sewing table in the corner of the family room, let alone having sufficient space to allocate an entire room for your sewing activities. If you don't have the space for a full sewing table in the available space, there are compact tables that you can expand when you need to use them. They easily fold back to around half the size when you are not using them. If you do not have the financial means to buy the sewing table that you dream of, an innovative idea is to create extra space by using stackable containers or boxes to store supplies, using wall shelves to maximize the space you do have, and place your sewing equipment out of the reach of children. The ideal is to have a sewing table with ample workspace and storage space. Sewing requires a lot of sewing supplies and they are always a number of things that you need within arm's reach. To maximize the available space on your sewing table you can use things like sewing baskets to organize the sewing supplies and always have it within reach when needed; you can place several sewing books in a small book rack that you use when you create different designs; a finger tip cushion is a must-have; as well as a sewing table caddy where you can place those items that need to be within reach but still out of the way. If you can afford it, the best idea is to design and have your own custom sewing table manufactured to perfectly fit your particular needs and make the best use of whatever room you have available. There are many sewing tables on the market that can not only be space savers, but can also create space by incorporating very clever storage ideas that you can either benefit from by buying that particular sewing table or incorporating some of the ideas into your own design. Find more sewing and craft information at BestCraftsPro.com, including advice on how to get creative with a Bernina sewing machine. A Sewing Studio of One's Own – Plus a Good Sewing Lamp! The expression, "A place for everything and everything in its place" is true when it comes to sewing. Having to set up sewing projects and then put them away every time you want to sew uses up much of your creative time. The room and the natural light you choose to illuminate your projects are also important factors. Natural light is suggested for all projects to make your work faster and to avoid eyestrain. An OttLite sewing lamp is the best one for the job. If you sew often, consider a well-designed, convenient sewing studio. Large or small this space will save you time and energy. Your designated sewing studio does not have to be a whole room dedicated just to sewing. It can be a seldom-used closet, an out-of-the-way corner or a cabinet especially designed for sewing. Wherever you sew, careful planning is important for the area to be functional. And, whether it is a corner or an entire room, the basic requirements are the same. A person with brief time blocks for sewing and needs a place where things can be left out until a project is completed. Someone who does small sewing jobs every once in a while and needs a place where things can be stored and taken out easily and quickly. A professional seamstress who needs a more organized, quiet place with space for business records, as well as space to store equipment, notions, fabrics, finished garments and other related supplies. Also consider when the sewing will be done. If you combine sewing with meal preparation or supervising kids, a sewing studio close to the kitchen may be desirable. If you sew in the evenings, a location near your family room is a good location. A studio or sewing center close to the laundry lets you take care of mending in a timely manner, and puts you close to the ironing board, and makes the iron readily available, which will save you steps. Design your sewing studio to fit your work habits. Create a sewing studio or center that fits you and your work habits. Have the cutting, sewing and pressing areas separate, but close to one another to provide efficient work areas. Above all, consider the lighting of the area and use natural, full spectrum lights (OttLites) to help you match fabric colors and threads, and to soothe your tired eyes. Like any other hobby, a successful sewing project starts with the right tools and a little knowledge of the craft. Yes, you can easily find the basic sewing tools in your home: your old pair of scissors down in your garage; pins from your drawers, or rulers that your kids use in school. You will have a more convenient sewing experience if you use the right tools intended for the job. They are very easy to find in your home. You use a tape measure to take your own measurements, to check the right measurements on patterns, and some other tasks that need to be measured. There are different types of tape measures but the most practical and easy way is the fabric tape measure that is fabric coated. To keep the tape measure handy, try draping it around your neck. Have the eight-inch bent shears. Dressmakers shears are the most efficient tools in cutting fabric. These shears have one bent-angle and one straight blade, a rounded thumbhole, and for precise and comfortable cutting, an oblong finger hole. The bent angle blades provide a spot where your index finger can rest for long-cutting jobs. And to ensure more accurate cuts, the bend on the shears blade stops you from lifting your fabric off the table. These scissors are intended for trimming smaller areas. They blades of these types of scissors are straight, and they have round holes for the thumb and the finger. When you shop for shears and scissors, see to it that you properly test them first. Make sure that they cut all the way to the blades tips. Disappearing dressmakers chalks: These are great for dark fabrics. The chalk markings disappear after five days or after the fabric is washed and ironed. Wash-out pencils: These are also suitable for dark fabrics and can be erased with a drop of cold water. It looks similar with a regular pencil and the lead is white, pink or light blue. Vanishing Markers: Ideal for marking fabrics that are light colored and disappears in twelve to twenty-four hours. Water-Erasable Markers: These are felt-tipped markers used to mark light to medium colored fabrics. These tapes are useful but not important marking tapes. These tapes can be easily seen when placed on fabric because of its cloudy appearance. Removable tapes are ideal in some types of fabrics like corduroy, velvet or velour since the tape doesn't pull of the nap from these types of fabrics. These are essential things you need for your sewing projects. You need them to pin securely the pattern to the fabric. You can also pin fabrics together before you sew them. Glass-head pins are recommended because they can fit securely in your fingers especially when you pin multiple layers of fabrics. And if you accidentally iron the glass heads, they don' melt like the plastic ones. It is also important that you have a safe place where you can keep your pins. Glass-head pins are sold in convenient plastic boxes that serve as the pin holders. However, experts say wearing a wrist pincushion is very practical so that the pins stay wherever the sewer goes. Magnetic pincushions are also handy. Aside from pins, other metal objects like the seam ripper or small scissors can stick to the surface that is magnetized. When buying hand needles, have the variety pack. This pack provides you most of the needles important for hand-sewing projects. Although variety packs of needles vary from brand to brand, they generally have about ten needles per pack in varied lengths and thickness. Others even have varied sizes of eyes. The standard size of a sewing machine needle is size #11 based on American sizing, or #12/80 from European sizing. About eighty percent of the fabrics today are good for these needles. However, if you aren't sure about the size of the needle for a particular fabric, take time to read the Operating Manual of your sewing machine. There are some needles that provide varied types of points, designed to cater to different stitching techniques as well as different fabric types. A seam ripper is a type of sewing tool that has a point designed to lifts stitched off the fabric. Hector Milla runs his corporate website at http://www.opsregs.com/ where you can see all his articles and press releases. Fashion is a fascinating and constantly evolving and developing phenomenon. Every few years, trends change and the manner and design of clothing undergoes a radical shift. Over the years, there have been some spectacular fashion trends which have remained forever as iconic images in the minds of people. Fashionable clothes retain style and element regardless of the time and era in which they were worn. This is why there has been resurgent interest in vintage sewing patterns in recent times. From long elegant evening gowns to Mod Mini skirts and designs from the 60s, these retro sewing patterns have found increased popularity in recent times. Sewing as a hobby has always been a popular pastime.This allows many seamstresses the freedom to create their own artistic designs and express their creativity through dresses and other fashion items. Moreover, this is the simplest and most effective way for many people to recreate their favorite dresses from the past without having to spend hours scouring the market looking for them. Some Retro sewing patterns are difficult to recreate and require a thorough knowledge of the craft of sewing. While other Retro sewing Patterns, combined the help of the right sewing techniques and skills, a seamstress will be able to recreate the quality fashion and elegant style of the past with little if any difficulty and can bring to life the most memorable dresses in fashion history. For example hippie sewing patterns have been a popular favorite in recent times. From the Grace Kelly "step-in" dress of the 1950s to the A-line mod dresses of the 1960s, knowledge of the right sewing techniques will help people recreate the fashion of their choice from the past. There are many numerous websites offering quality information on sewing classes from beginner to advanced helping the seamstress to master these techniques. From the butterick sewing patterns to vogue sewing patterns, people can access these techniques through the internet. Sewing is not just a pastime anymore, it also helps people to find the best solution for creating a cost effective wardrobe. You can also create and wear dresses which fit you to a T without worrying about your body type. Using retro sewing patterns is not just fun, it is also a spectacular way of people to learn and create fashion designs from the past. These retro sewing patterns can help fashion conscious people in experimenting and creating their own designs from these patterns. Recently, the popularity of retro fashion has escalated raised leading to an increased demand for these clothing styles. This is one of the many reasons why so many people choose to opt for these discontinued sewing patterns instead of buying new those from the retail market. It offers them an individual and distinct identity, setting them apart from the crowd. This is why the vintage dress patterns have grown so popular. The internet has become home to a number of informative websites. There are many websites which provide information about quality simplicity sewing patterns and butterick sewing patterns for fashion conscious users. People can use these websites as a source of information and improve on their designs. Designers can access and learn a range of sewing patterns and recreate the fashion of the past. It is important to choose a renowned and popular site for this purpose as it would help reinforce the sense of style. Colleen Reese is the author of this article on Vintage Sewing Patterns. Find more information about Retro Sewing Patterns here. Online Joann Fabrics coupons are also really effortless to come across when you're preparing to build an invest in online. The Two additional minutes spent locating and redeeming an on the web coupon can often save a shopper a substantial quantity of money. Numerous on-line coupon websites have thousands of up-to-date offers from hundreds or even thousands of on the net stores and they are just a couple clicks away. Another compelling point is that on-line Joann Fabrics coupons save trees simply because you do not need to print anything on paper to use them. Features and conveniences like these make on the net Joann Fabrics coupons the additional desirable choice to their printed counterpart. Participation and redemption rates for on the web Joann Fabrics coupons are a lot higher than clipped Joann Fabrics coupons. On the net Joann Fabrics coupons and coupon codes boast redemption rates of 10% and greater in some cases, depending on the discount, brand, or product. Merely put, individuals consider much more comfortable using on-line Joann Fabrics coupons so they redeem more of them! Consumers should know that Joann Fabrics coupons is also availed from anywhere within the market. The discover coupon gives offer towards client to acquire anything in low prices in the market. The find coupon has a vast field of delivering coupon on solutions from the globe market. Clients are always looking for obtaining find coupon while shopping. Find coupon also helps in maintaining the budget with the shoppers within the market. Shoppers from all more than the world research several types of discover coupon for various products and solutions coming up during the world market. Sometimes shoppers have a good stocks of find coupon for food, entertainment savings, and wellness and beauty products. The find coupon of gorcery helps in saving income from the client inside market. Although consumers find it a lazy jobs for seeking find coupon but as soon as they got, it shows it worthiness. There are numerous people these days searching to save cash in any way they can. Unfortunately, many men and women often overlook the value of Joann Fabrics coupons. We have all observed Joann Fabrics coupons although we are searching from your morning paper, but have you noticed how numerous other places you will find to discover Joann Fabrics coupons? One good place to start is inside your mailbox. You will find corporations who pay to put their Joann Fabrics coupons in with a big group of other Joann Fabrics coupons which are mailed to everyone's house within a particular radius. Free Joann Fabrics coupons is also utilized for a specific item or service. Joann Fabrics coupons on coupon websites can be particular or general depending on what you might be wishing to buy. A coupon could possibly be a particular dollar quantity or percentage off, but during the lengthy run in case you continue to use free of charge Joann Fabrics coupons, you'll save lots of money. Totally free on the internet Joann Fabrics coupons are accessible for your wide variety of solutions and services...from clothing Joann Fabrics coupons to restaurant Joann Fabrics coupons. The coupon discounts from coupon websites are absolutely endless. Online Joann Fabrics coupons are essentially an advertisement and advertising tool that's employed by organizations and manufacturers to attract new or existing consumers to establish and hold them into loyal buyers who will arrive back to pay for once more and again. These Joann Fabrics coupons may possibly have expirations, including on a daily, weekly, monthly or limited time basis. You are able to purchase a wide amount of solutions and services by utilizing these typically overlooked Joann Fabrics coupons that most folks consume for granted. Several folks don't understand Joann Fabrics coupons are a valuable resource and do not bother utilizing them since they think that saving pennies isn't worth the time or effort. If you're a seasoned seamstress, you probably use patterns all the time. You probably have a collection of vintage Simplicity patterns that have been cut, pinned, and stashed for decades. The majority of beginner sewers, however, can't tell which end is up when looking at a pattern (literally–I once looked at a pattern and could not tell whether it was upside down or not). Once I discovered the world of sewing tutorials (as opposed to tangible patterns), I was hooked! When I was asked to be a bridesmaid in my brother's wedding and told that I could wear any dress I wanted, as long as it was black, I knew I had to make a sewing project out of it. I combined two sewing tutorials I found online. Turn your sewing machine to it's largest stitch and increase the upper thread tension. You don't need to put it at its highest tension setting because chiffon is a very thin fabric, so it will ruffle easily. Sew a line down the center of each strip (refer to my ruffling tutorial for more info on making ruffles). When you get to the end of a strip, feel free to attach a second strip by feeding it right into the machine. Once you've got a bunch of ruffles done, it's time to attach them to your skirt piece. I bought two yards of black fabric and cut it in half lengthwise (so that the "waist" measurement was 2 yards and the length was appropriate–I wanted it to start at my natural waist and end around my knees, plus seam allowances). Sew the first ruffle around the bottom of your fabric piece, making sure you have changed your machine settings to a lower tension and smaller stitch length. Continue sewing ruffles until you're satisfied. The Can-Can skirt has ruffles all the way up, but I chose to only do a few rows along the bottom of the skirt. Thus far, your skirt has just been a gigantic rectangle. To turn it into a skirt, we're going to refer to Megan Nielsen's gathering instructions. Take a piece of elastic waistband and measure how big you want it to be (wrap it against your waist, wherever you want the skirt to start). Pin your cut piece of elastic to the skirt piece, making sure to stretch the waistband as you go. Zig-Zag stitch the waistband to the skirt piece, again stretching as you go. I way over estimated how much my waistband was going to stretch, so I ended up with extra fabric after I sewed the elastic on. Just cut this piece off and throw it in the scrap pile. I would recommend using only 1 yard or a yard and a half instead of 2 yards of skirt fabric, like I used. Next, hold the raw edges of your skirt length together, wrong sides facing in, and stitch them together. Hem the bottom of the skirt. At this point, you have a skirt that you could potentially wear by itself. So if you'd rather make a patternless skirt, you're done! Instead of using a tank top, I purchased a black blouse from a thrift store to use as the top. I thought this would be a little more wedding appropriate. I realized I didn't really like the blouse all that much when I tried it on with the skirt, but I'd already purchased it, so I had to make do. I ripped out the ruffles, buttons, and collar, cut the bottom of the shirt at my natural waist, and removed the shirring from the back. After I had basically destroyed the blouse, I was pretty sure I'd have to scrap it and start over. But I just kept going anyway! I sewed the front of the shirt together and added another strip of ruffled chiffon around the neckline. Finally, it's time to attach your top to your bottom! I tucked the blouse inside the skirt, so that the waistband lay flat on top of the blouse. Then I pinned all the way around and zig-zag stitched it down. Sewing and using the sewing machine can be frightening especially if you don't have any idea how to sew or use the machine . Although you don't know how to sew, you can still learn how to do it. By reading this article you'll know the basics of sewing. In the succeeding paragraphs, you will be giving sewing projects that are simple, can be made easily and are very useful. Try making the projects stated below and see how you improve on sewing. One of the things you can make to practice sewing is cloth napkin. It is not only easy to make and useful in the dining area but it is also good for the environment. Nowadays, we are trying hard to reduce the amount of garbage we throw so that we will not harm the environment. Through using cloth napkins we reduce the number of paper napkins we use hence reducing its number of waste. Cotton bends or ordinary cotton cloth makes good cloth napkins. Quilted placemats are also sewing projects that are so easy to make. By using these items, you can also contribute to the environment by helping minimize the garbage. Cotton blend type of cloth makes good placemat. It has many designs, colors and patterns that can complement your dining hall. With these placemats you can enhance the look or your dining hall. Apron is one of the many easy things you can make from sewing. Although there are many aprons available in the market, it is best to make your own to test your sewing skills. In creating apron, it is recommended that you add pockets on it so you can put in there things that you are using when working. T-shirt dresses that you commonly find in malls and boutiques are easy to make. In fact, these are one of the top easy things a beginner in sewing can do. All you need to do is find a cloth that you like and then find a t-shirt that will match the color and the pattern of your chosen fabric. Then you can stitch the skirt in your own preferred length and style. The last sewing work that you can create is the skirt made of jeans. To make use of your tight jeans, then you can transform them into a skirt. How? Cut the inner part of the legs of your jeans open. Then stitch the other part of the leg to the other. Other cloth can also be used to fill the space and come up with a nice skirt. The only way you can learn how to sew well is to start from the beginning and practice hard by making small and easy stuff. With effort and determination, you will be able to make items that have more complex designs. Kirsten Soh is a premiered writer when it comes to home improvement and learning "how-to" topics. She recently published her latest article on bib aprons and customized aprons here.